Next PTA meeting is December 6th @8.30am in Parents’ Room. Our first PTA meeting and coffee morning for 2018/2019 school year will take place at 8.30am on Friday 19/10/2016 in the parents’ room. ALL parents/guardians are welcome to attend. We look forward to seeing you on Friday 19th @8.30am. What are we not about? Particular roles within the PTA: Teacher Rep, Chairperson, Secretary. Treasurer, Fundraising Initiator, Religious Instruction Organiser, sub groups. Liaise with the Secretary/Clerk on the agenda and meeting arrangements. The Secretary plays an important role in supporting communication between PTA members themselves and between the Parent Forum and the PTA. 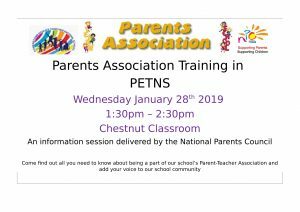 It is important that the PTA agrees how members of the Parent Forum can get in touch with the Secretary and that these arrangements are well publicised so that all parents know how to make contact. 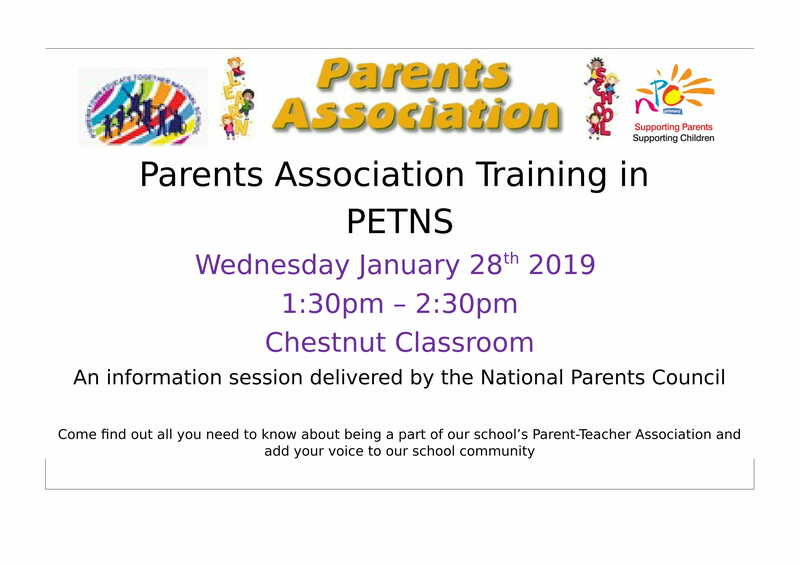 Send a notice of the meeting, venue and agenda to all PTA members so that they will receive them in good time for the meeting. Agendas should be sent out for all meetings even if they are held at the same time and place each month. Let PTA members know about all correspondence received and report any action taken since last meeting. Take a minute of meetings, recording decisions and actions to be taken and by whom. This can be a task that is shared amongst members of the PTA to allow the Secretary to participate in discussions. Provide minutes for all PTA members prior to or at meetings. Every PTA that intends to raise money should make sure a Treasurer is appointed to handle the money coming in and going out of the group. The Treasurer is responsible for the proper handling of the finances of the PTA, but not the actual raising of money. Prior to the PTA Annual General Meeting (AGM) the Treasurer should arrange for the year’s accounts to be independently checked and agreed with the Chair. The Treasurer should present the audited financial statement at the AGM and answer any questions on the accounts. The teacher representative, will always attend Parent Teacher Association meetings and be there to give encouragement and guidance. Provides a link with other staff in the school and the authority. Every PTA that intends to raise money should have a fundraising initiator and/or team. As we are a new and developing school, we are trying to build and progress our school resources. Department grants are limited and therefore so are the funds to purchase beneficial educational equipment and resources throughout the school year. Set overall aims/goals of how much you want to raise in the year. Discuss and decide on possible fundraising events. Organise approximately four major fundraisers during the year (one a term). Example of fundraisers include the car boot sale and the Christmas fair. Discussion with parents on what religious instruction is required for pupils in the school. Organise (instigate the organisation of) a teacher or qualified person to provide religious instruction to pupils. Link with community members and/or religious organisations in relation to religious festivals and sacraments.